They instinct it will be productive for global automotive manufacturers to invest in the region in both assembly and component manufacture.The new platform (Raipea) aims to help the region save more than $2 billion in car import costs annually. At their 19th Ordinary Meeting held in Kampala in last year, the authorities of state directed the EAC Council of Ministers to find out the possibility of developing the automotive industry by decreasing importation of used vehicles from outside the region and thereby make the region more competitive. It is in consideration to identify and profile vehicle types and components that can be produced or manufactured in the region for intra-EAC trade first, and then for export. 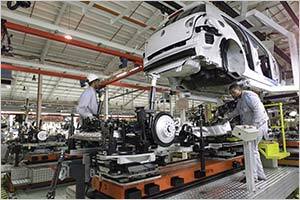 “The immediate task for the platform will entail assessing each country’s comparative strengths in automotive production and component manufacturing and propose a win-win scenario for collaboration in assembly and manufacture of components,” says the statement by Permanent Secretaries that was adopted by the Council. The region hopes to put more efforts to reflect the success of countries like South Africa, Nigeria and Morocco, which have managed to develop their own automotive industries through strong and extensive co-ordination at the national and regional levels, which has ensured policy coherence, technical guidance, and steering in the direction and evolution of the industry. The Sectoral Council on Trade, Industry, Investment and Finance at its meeting, approved the terms of reference for the establishment of Raipea. The EAC Secretariat will factor the cost for undertaking a study on the economic feasibility of affordable vehicle manufacturing in the region, in the EAC budget for the 2019/2020 financial year.